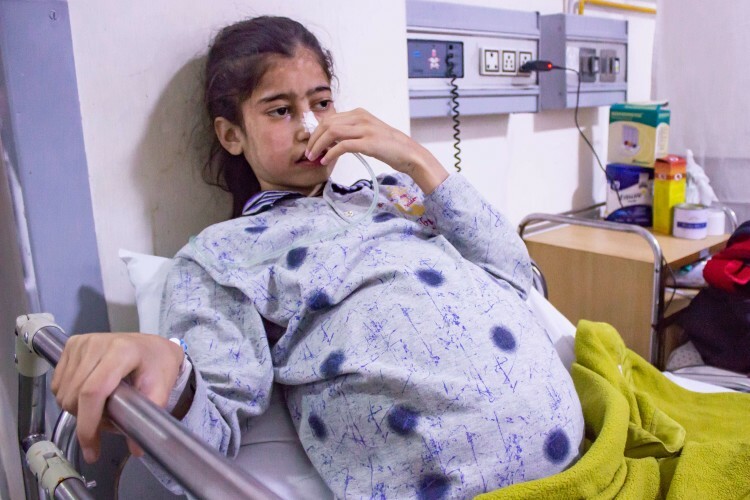 Fatima squeezes her mother’s hand tightly and squirms when the excruciating pain in her fluid-filled abdomen becomes unbearable. She is hungry and wants to eat, but immediately throws up when she tries to swallow. But the worst thing is that she refuses to drink a lot of water because it hurts when she pees. An urgent liver transplant can solve her problems. But her poor parents do not even have money to buy medicines, how will they afford such a big surgery? “Her eyes and skin started becoming a pale yellow. We did not pay much attention to it because she did not behave like she was sick. But one day at school, she lost consciousness all of a sudden. Her teachers noticed the yellowness all over her body and instructed us to go to the doctor immediately. 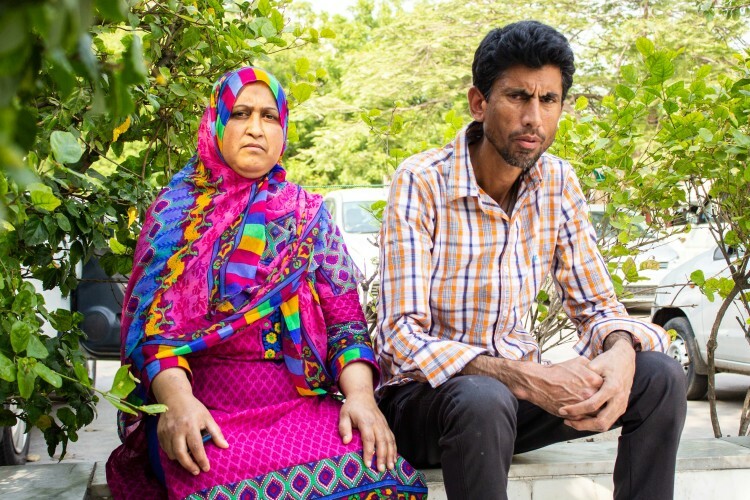 After a round or two of tests, she was diagnosed with Hepatitis B.”-Faseena, mother. This little girl was in and out of the hospital for more than six times, but her condition did not improve. She complained of regular stomach pain, despite taking all the medicines that were prescribed. 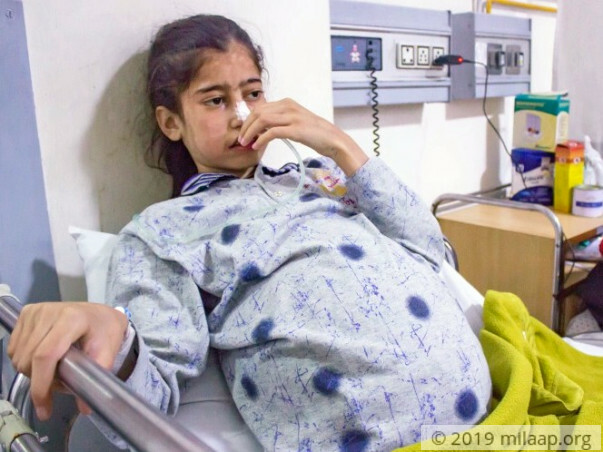 Her poor parents did not have enough money to take her to hospitals every other week, so they had to borrow heavily from relatives. “We come from a lower middle-class family in Kashmir. I sell old clothes for a living. But our child’s life was more important to us than our pride, and so we did not hesitate to beg to get her treated. 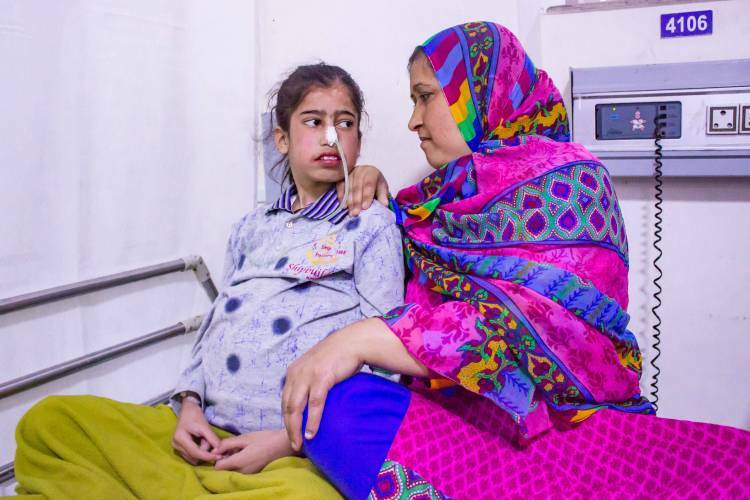 Our hearts sank when the doctors said that her bile ducts had become infected, leaving her liver in a really bad shape.”-Syed Hussain, father. “The doctors told us that she needed a transplant because her liver had become dysfunctional. Anything could happen any moment. But we were more worried when they told us that we couldn’t get the transplant done anywhere in Kashmir. I immediately called my brother and we left for Delhi. We had no money to spare, but we didn’t think of it at the time. Our child’s life was in danger and she needed to be saved.”-Faseena. Fatima is a poor reflection of her former active self who loved to chat continuously with her parents about everything under the sun. She hardly smiles now, let alone talk. All she can tell her mother continuously is, ‘It hurts’. “She tells me that she can’t take the weight around her belly anymore. She cannot sit or sleep in a comfortable position and it is making her body ache. 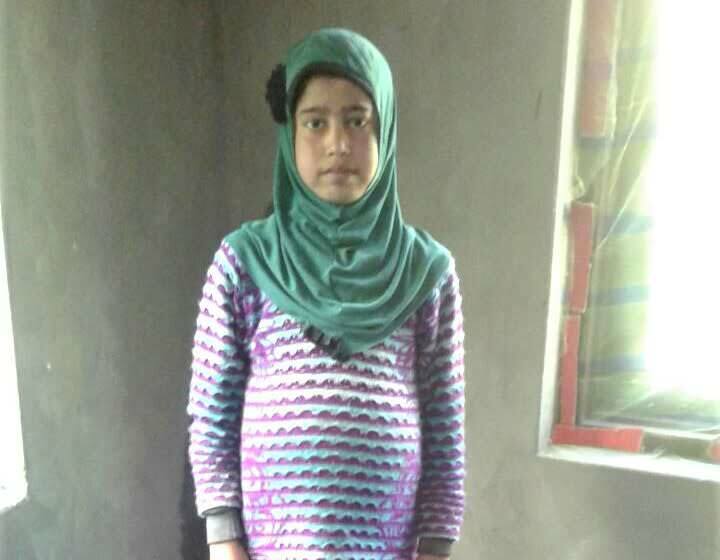 She is a resilient child who has been fighting so well for the last 6 months, but when she sees us worried about money all the time, she also loses hope.”-Faseena, with tears in her eyes. Fatima’s father, Syed Hussain, sells rags for a living and only makes Rs 3,000 a month. The family lives in a one-room tin house in Kashmir. Relatives and friends were helping them with Fatima’s treatment costs until now, but the cost of the transplant is so high that they cannot afford to even ask people to help anymore. “When we came to Delhi, a family friend was kind enough to rent out a room free of cost for us to stay because people know that we are very poor. Till now, we have spent almost Rs 3 lakhs, we need more than Rs 12 lakhs. 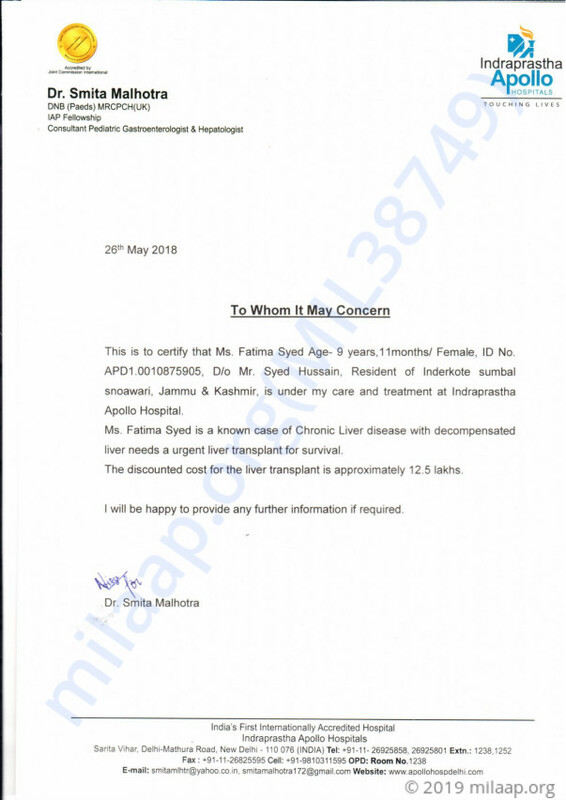 I am ready to give my liver to her as Fatima’s condition is only getting worse by the day. There is no time to waste, but we have no means to arrange the money. Please help us.”-Syed Hussain. We have some good news to share with you. Fatima is discharged yesterday and she is doing absolutely fine. She will be coming back for regular follow ups. We will keep you posted on her condition further. Thank you for all the support. This could not have been possible without you. Thank you for the wonderful support that you have shown towards Fatima. She is doing better now compared to earlier and has successfully undergone the liver transplant. Her father donated a part of his liver to her and he is also doing good now. The doctors suggest that she will be under observation for a few days and based her health, they will be suggesting the future course of action. Will keep you posted. Thank you for the wonderful support. Greetings from Apollo Hospitals, New Delhi, India. 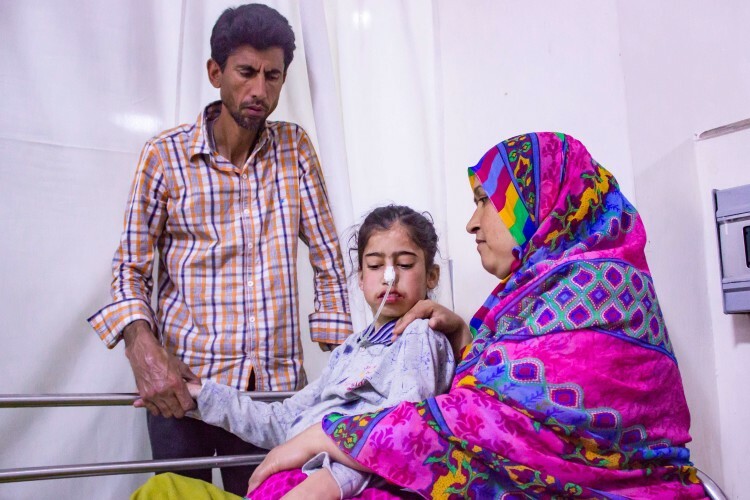 Fatima and her father have been hospitalized. The liver transplant procedure has been scheduled for today, 11th June 2018. New Delhi 110 076. INDIA.